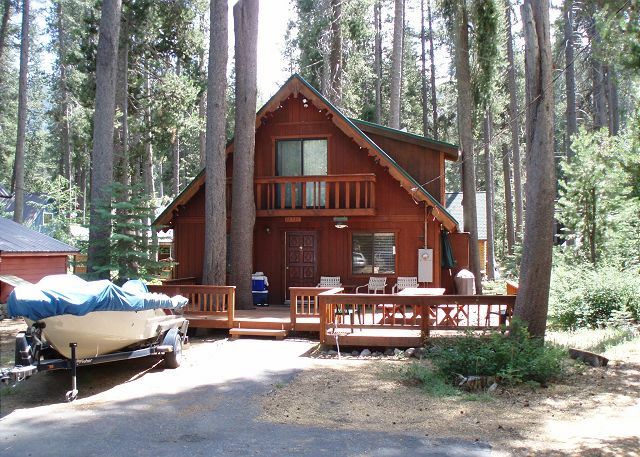 Truckee, CA United States - Brunckhorst 021 (SAT) | Donner Lake Realty, Inc. Garbage Pick-Up Days are MONDAY MORNING; please have all trash, in cans or tied plastic bags, inside this Enclosure, BY 7 a.m., including Holidays. If you have problems, please contact our Rental Office by 4:30 p.m. on Sunday. The Brunckhorst unit is a 3 bedroom, 2 bath, sleeps 8. 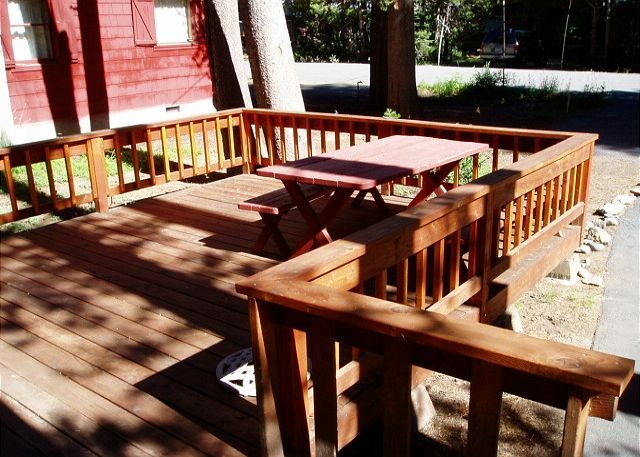 The unit is located on a flat lot at the west end of Donner Lake. 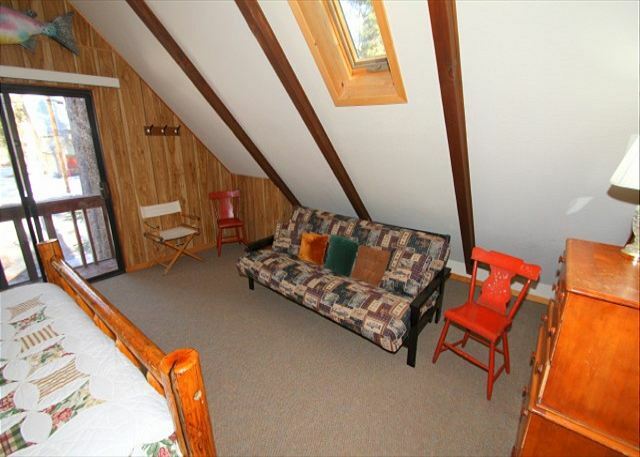 This cabin is very close to the public beach. Out front is a large deck, and inside on the main level is a bedroom, laundry, bathroom, kitchen and living/dining area. 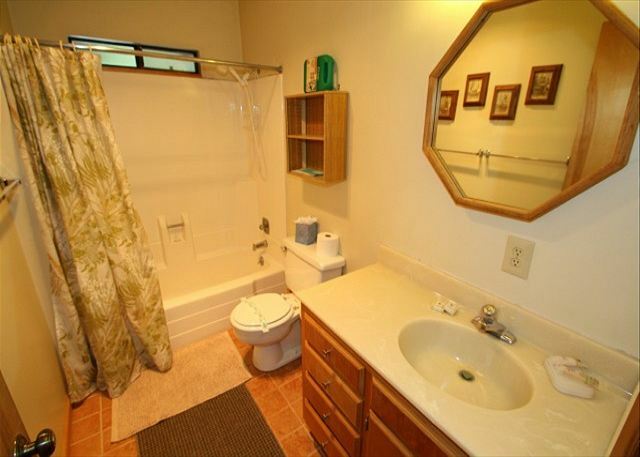 Upstairs are two bedrooms and a bath. 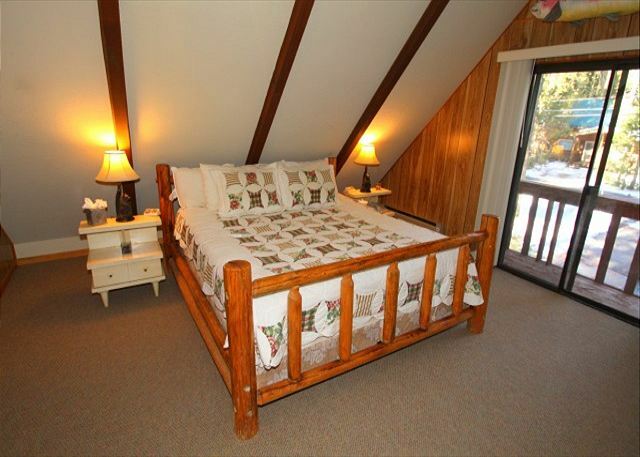 It will sleep up to 8, is a summer and winter short term rental and has easy access. Our units do not have sheets, pillow cases, or towels included in the rental, guests are requested to bring their own. However, we do offer linen rental service with 72 hrs notice before arrival: sheets, pillow cases, and towels at a onetime fee of $10 per person. Check in time is 3pm and check out time is 10am. T **Nightly Minimum Subject to Change for Holidays** 4 night minimum for Thanksgiving, 7 night minimum for Christmas/New Year's, 3 night minimum for Martin Luther Holiday Weekend, 3 night minimum for Presidents Holiday Weekend, 3 night minimum over the 4th of July, 3 night minimum for Labor Day holiday Weekend.